Procedural Tech Modules are those one use Tech Modules that you buy from Space Station vendors. It's the second option, with the first being to buy the tech Blueprints. Unfortunately, there are not any for the Rocket Launcher at this time, if there were, it would likely be a little ridiculous, although, the Positron Ejector already kinda is. These Procedural Tech Modules come in the usual Class system of C, B, A and S, with C being the worst and S being the best. When it comes to buying these modules, you should always just get the S Class, as you are limited by the amount you can place, so going S Class is the rational way. If you happen to gain any C, B or A-Class modules from other means, you can sell them back to the Technology vendor for Nanites to buy yourself some S Class ones instead. Another thing to note on the Procedural Tech sell screen is the percentage next to each module, this has caused some confusion, I mistook it myself the first time I saw it. Red rectangular boxes denote the percentage currently discussed. It is essentially the sell percentage, it has nothing to do with the outcome of the module itself, you should look for small numbers, the lower the better as this percentage is how many more nanites you are paying for it on top of the base value. The way the random part of the Procedural Tech works, is that each Module Type has a number of different stats it can have, the class of the module determines a range of how many of the potential stats will be present on the tech, the class also determines the range of power for each stat. The C class version will have 1-2 stats present on the newly made module, with it being unlikely that you will have 2, this could be any of the 3 stats available, which are Scan Radius, Fauna Discovery Bonus and Flora Discovery Bonus, the discovery bonuses being that it increases the number of units you gain when scanning for the first time. The B Class will also have 1-2 of the stats present but will be more likely to have 2 than the C Class, but still unlikely. The A-Class will have 2-3 of the stats present with it being as unlikely to have 3 as the B Class is to have 2. And the S Class will definitely have all 3 stats present on the module. The C Class would have between 1000 and 2000% for both the Fauna and Flora discovery bonuses, with it being unlikely to have 2000. Note of course that these 2 while having the same ranges, are calculated separately, so will not be, or are incredibly unlikely to be the same as each other. The Scan Radius is a multiplier, all have the maximum in the range as unlikely, with C-Class being a 5-10% bonus. The B Class would have between 2500 and 5000% for both the Fauna and Flora discovery stats, with 5000% being unlikely & Scan Radius between 10 & 20% bonus, A Class having between 5000 and 10,000% with 10,000% being super unlikely and Scan Radius at 20-30%, and S class is between 6,500 and 10,000% with the max being unlikely and Scan Radius at 30-40%. So that's what we are dealing with, Number of Stats, with each stat having a range and a curve. For these Starship Procedural Upgrade Modules, we'll just go over the S Class for now as that is what is important here, but when more data is submitted to be able to realistically gauge the curves I'll do a follow up video, to fill in any blanks and also publish the data on xainesworld.com as a dynamic table as data continues to come in and refine the results. Pulse Drive S Class Procedural Tech Modules will always have all 3 stats, these stats are Pulse Drive Power, Maneuverability and Boost. 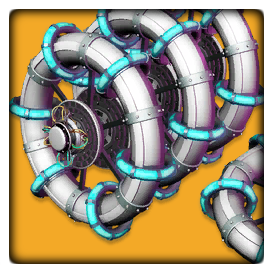 Pulse Drive Power will make your ship go faster while Pulsing and reduce the cost of Pulsing. Maneuverability increases the responsiveness of your ship, allowing just smoother flight and sharper turning. Boost increases the speed at which you boost your ship. Pulse Drive power at S Class will be a static 20%. Interestingly, in the files Pulse Drive Power is split up into 2 different stats, the speed and the fuel cost, the speed is static whereas the fuel spend is not. Maneuverability at S Class will be between 5 and 12%, this is accurate in both the files and the submitted data. For S Class Pulse Drive Modules there are currently 111 to glean from, so this isn't bad at all. The submitted data currently puts the Average at 7.71% & the files weight the curve at the max being uncommon, so consider yourself lucky to get on the top end of that range. Boost at S Class will be between 11 and 15% according to the submitted data, It is possible that the range is a little bigger, maybe 10-15% as for this one the files make no sense. Boost in the files is listed as being between 1.01 and 1.01 with no curve, we know for certain that there is a range and it is not static and as it is not static, there must be a curve. The 111 submissions for s Class Pulse Drive Modules show a range between 11 and 15% with an average of 12.62%. 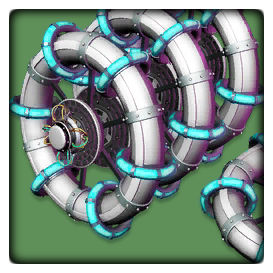 Next, we have the Hyperdrive Modules and these are nice and simple. There were a fair few errors with this one, so I'll just say here, if submitting data, please submit the data exactly as it is displayed, if it is a percentage, it needs to have either the percent symbol or be divided by 100, righting 100 with no percent symbol tell the database that it is 10,000% and not 100%. The Warp Cell Efficiency will always be 100%, it has no range and so no curve. Hyperdrive Range, however, will at S Class be between 200 and 250 Light Years with the maximum being unlikely. The submitted data from 117 S Class modules puts the average at 218.49. The files confirm the range of 200 to 250 as well as the curve. Next is Starship Shield which is even more simple. Starship Shields have only one stat that is of course guaranteed, this stat is Shield Strength, and it is static with no range and so no curve. 33 Submissions back this up as being a static 40% to Shield Strength. Photon Cannon has 3 available Stats, all of which are guaranteed at S Class, these stats are Damage, Heat Dispersion and Fire Rate. The S Class range for Damage is 8 to 11%, or at least that is what is seen via 62 received submissions. This range is not remotely reflected in any of the stats found in the files, the curve however is, but that is not enough evidence. The average from the submissions is 9.13%, putting it fairly close to the middle, the files state the max as being uncommon. Both Heat Dispersion and Fire Rate from the submissions state a static 3% increase, and this somewhat matches the files. Rate of Fire is indeed set to 3% static, yet what is listed as Guns Damage in the files is more likely to be Heat Dispersion, this is because the third stat simply labelled as Guns doesn't match anything, whereas the Guns Damage appears to be a range of between 2 and 2.1% with no curve, this would default to something, maybe lowest, middle or max, if it is the middle or max, it would display in game as 3% due to the game display always rounding up. The A-Class variant has the same range except the curve is set to the Max being Uncommon, which would further lean toward the S Class being at the max. This is not completely flawless logic and is very difficult to test, but if you don't want a headache, just call is a static 3%. Next is Phase Beams which have only have 2 stats, this being due to how they work as lasers, they have no change with Rate of Fire, instead, they fire twice per second, with 2 lasers, that is 4 shots per second that only tick for damage on the screen every second. The Phase Beam at S Class has a guaranteed 2 stats. The stats are Damage and Heat Dispersion. In the Files, this one is also mixed up, with the Laser Damage stat appearing to be the Heat Dispersion when compared to the submitted data. The Damage from 49 submissions appears to have a range of 66-77%, what troubles me here is that the Phase Beams Damage was altered after I started collecting this data, it was not obvious when it was altered from the patch notes, but I suspect the file may actually be correct. If that is the case then the Damage Range for Phase Beams at S Class is actually 60-70% with the maximum being UnCommon. Heat Dispersion fully matches the files, the files put Heat Dispersion at a range between 75 and 95%, with the submitted data showing between 76 and 96% with an average of 83.45%. Cyclotron Ballista is the same as most other weapons for its available stats, these are Damage, Heat Dispersion and Fire Rate with all 3 being guaranteed on the S Class variant. As with the others, it is a complete mess in the files, it would appear that in the files, the Guns Rate stat is actually Heat Dispersion, the Guns Damage is Fire Rate and the Guns stat, well, it must be related to Damage but it doesn't look like it from the values. Assuming these changes, Heat Dispersion from the 70 submissions show as a range of 31 to 35% with an average of 32.30%, the files match this increasing the range slightly to 30 to 35% with a stated curve of the max being uncommon. Fire rate via the submissions would appear to have a range of between 11 and 15%, and an average of 12.14%, this matches, not including the stat name, the files just with a slightly broadened range of 10-15% with a curve of Max being Uncommon. Damage is a funny one, for all submissions and the 50 or so test modules I made in-game, the Damage is always displayed as 2%, I believe this to be as with presumably all stats with a range, a rounded up number. While Damage Potential is a useless number for gauging the correct layout of your technology, more on that shortly. It is a very good number to use for comparing your exact layout with itself. By doing this you will see the Damage Potential change even though the stats appear to be the same, they are rounded up on screen and so while they technically give different stats, they do not appear to. So while this will always say 2%, it may be a range, and while those damage potential differences could also be explained by the other 2 stats being on a different number between say 30 and 31, I have tested single shot damage on multiple modules displaying all of the same, with a different damage being inflicted. Heat Dispersion and Fire Rate would not at all affect a single shot. This rounding up also explains why Heat Dispersion and Fire rate all have the low end of the range 1% higher than the files state, as the likelihood of it being the absolute lowest is very very unlikely, but if it was even just 30.01%, it would round up to 31%, giving us slightly skewed data. Next is the Positron Ejector. This beast has a guaranteed 3 stats at S Class and they are of course Damage, Heat Dispersion and Fire Rate. As with the Cyclotron Ballista, Guns Rate in the files appears to be Heat Dispersion, I mean, this could make sense, with Heat Dispersion being the Rate that the gun reaches overheat, it just feels needlessly confusing. Guns Damage appears to be Fire Rate & once again, Guns stat does not match damage. Heat Dispersion in the 28 submitted modules has a static value of 15%, the files stat Guns Rate also backs this up stating a static 15% value, oddly with a curve of MaxUncommon, but the fact no submissions have had a 16% shows us well enough that it is static. Fire Rate in the submitted data also shows a static 20%, though I believe it is either not static or is not a full 20%, this is because in the files the stat is 19% with no curve. My theory is that somewhere this hits a modifier or something that adds even a minuscule amount, which results in a rounded up number of 20%. As with before, this is not exact, it just appears to make the most sense. Now Damage, as with the other weapons, we can only rely on the submitted data here, which shows the range to be between 2 and 3% with an average of 2.42%. Talking about the ranges earlier and the rounding up, this average is likely very skewed, as the likelihood of getting a perfect 2% for the lowest is very low, especially the majority of the results. With this in mind, the Range you will see may be between 2 and 3%, but the range it actually is, is more likely to be from some decimal between 1 and 2 and some decimal between 2 and 3. Either way, it doesn't make sense of the files that just show a between 5 and 6, not even a percent, potentially, this could be either 5 or 6 damage being added to each projectile of the Positrons Shot, but that is reaching. And lastly, we have the Infra-Knife Accelerator, which as with all but the Phase Beam, has 3 available stats, all of which will be present on the S Class version of the module. As with the other, in the files, Heat Dispersion is marked as Guns Rate and Fire Rate is marked as Guns Damage, the fact that these stats correlate to this for every weapon gives it more weight, so logically, it would be likely. Heat Dispersion via the submissions is shown to be between 8 and 9%, with the files showing 7 and 9%, this is once again explained via the rounding up. Fire Rate via the submissions shows a range of between 6 and 10%, with the files showing between 5 and 10%, explained with the whole rounding up again. Damage is once again, completely different in-game to the files, so we must rely purely on the submitted results, which show a range of between 14 and 16%, which is likely 13 and 16%. The files for this show the same as the Positron at 5 and 6, while writing this I decided to test whether this 5 and 6 in the files was an additive damage, just in case, I can confirm it is not as the Infra-knife Upgrade offers a unique opportunity of adding an extra shot per volley and the percentage didn't change on the modules. It may seem like a pointless test, but it ruled something out so it was worth it. That's it for the Procedural tech data as far as starships go. Now let's go over Adjacency Bonuses.